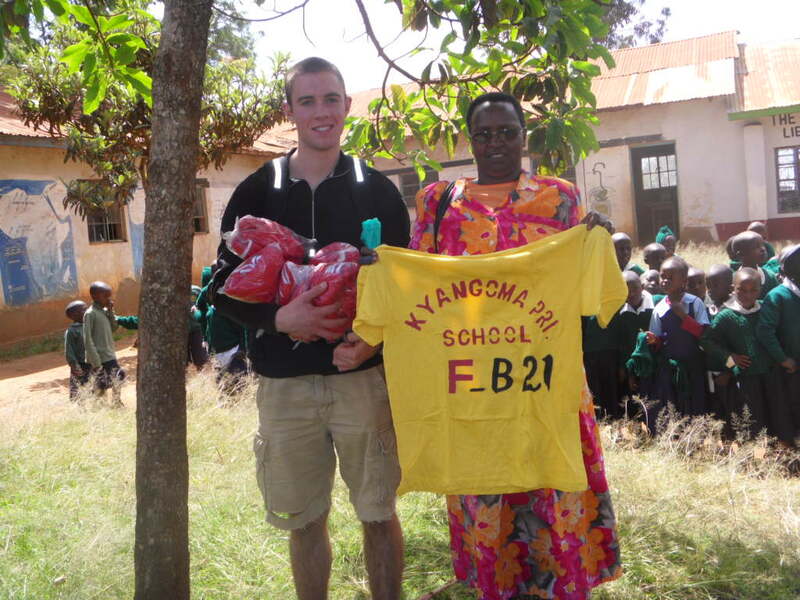 With the coming of Christmas there was a great deal of activity for the children in the Mbooni district. We made an overture to our sponsors asking them if they’d be willing to make an additional donation to provide for Christmas presents for their sponsored child. In keeping with both the needs of the children and the community standards we stated clearly that we would not be spending any more than $30.00 on each child and, as such, wished that the amount of the donation be limited. Sponsors even contacted us to say they had never been asked to limit their giving before and found it a refreshing approach. The outpouring of support from our sponsors was truly inspiring. So many of our sponsors sent in $30.00 for their child and then added an additional amount – sometimes hundreds of dollars more – so that other children would not be forgotten. This meant that not only did all the children of Rolling Hills Residence and all of the sponsored children in the community receive presents, but every child at Exodus Children’s Home and the siblings and cousins of our community children also received presents. In total there were over 200 children who received a gift or gifts at Christmas. 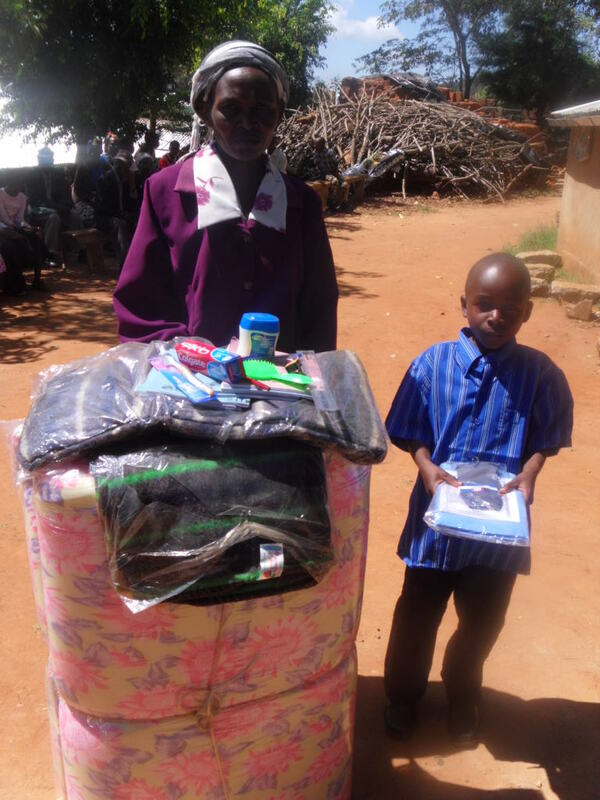 While the majority of these presents were functional – clothing, school books, shoes, a school uniform, or a blanket – we also distributed dolls, balls and games. In addition many people provided money to buy Christmas goats. Many have already received a picture of the child receiving the goat. Due to time limitations and costs (the price of a goat rises just before Christmas) some goats will not be purchased or distributed until January and pictures subsequently sent to the donor. There was also another generous donation from Fred Dawber with a request that part of this money be used to purchase sports equipment for the school that is the site of Kate Stadium – named after his daughter. Interestingly, unknown to each other, Kate also made a donation for the same thing. This school has been blessed by both Kate’s presence as a teacher and now the ongoing support of Kate and her family. I know Kate wants to go back to work again in the school and I know how much she is missed by the children and staff. 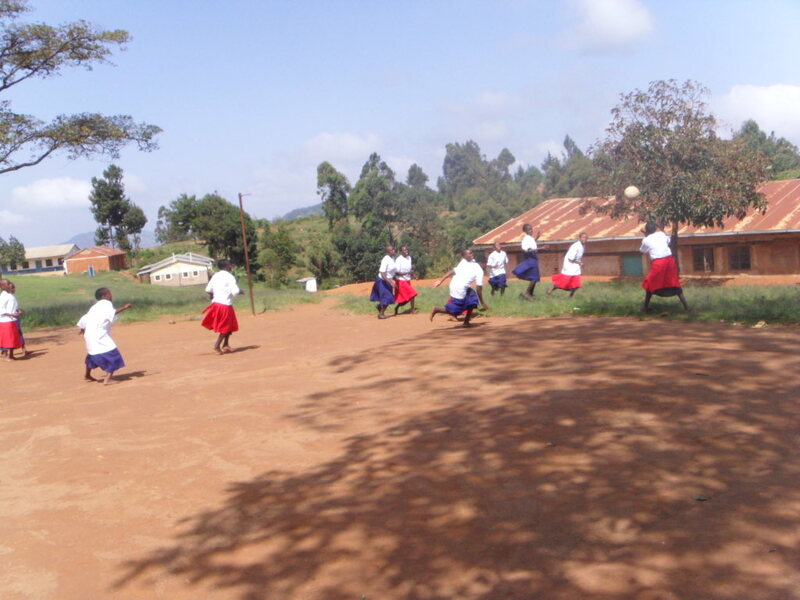 Ruth and Kay met with the headmaster and teachers and made the decision that rather than purchase balls, the greatest need was for uniforms for the school teams. 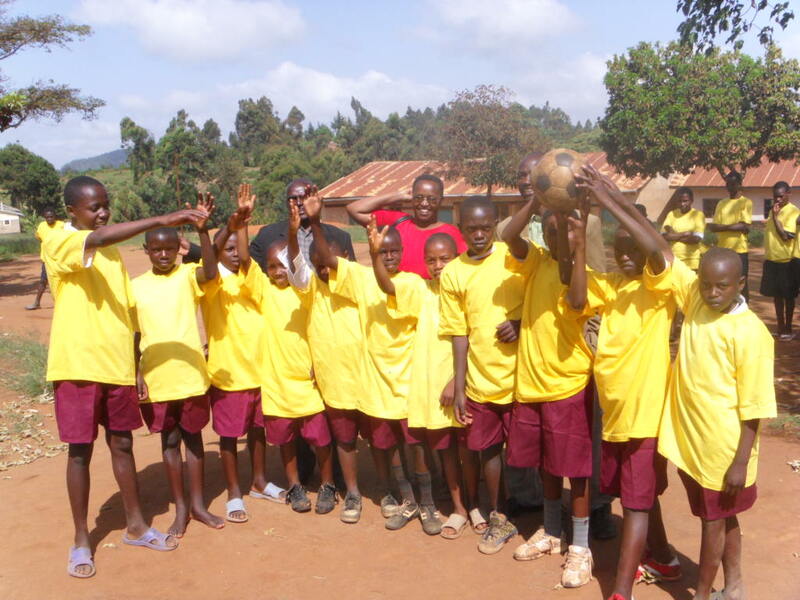 The school received uniforms for girls and boys teams in football (soccer) and netball. Below you can see both the uniforms and the joy they brought. We have talked about this money being used directly to pay for the high school tuition for a number of children in Mbooni who are deserving students but unable to pay. Sophia Attema – provided money to help continue the garden started by her daughter Chanel. If you go back through our monthly updates you can read all about how Chanel cut off her dreadlocks and used that money to create the original garden plot that is still cultivated by the residents of Rolling Hills. 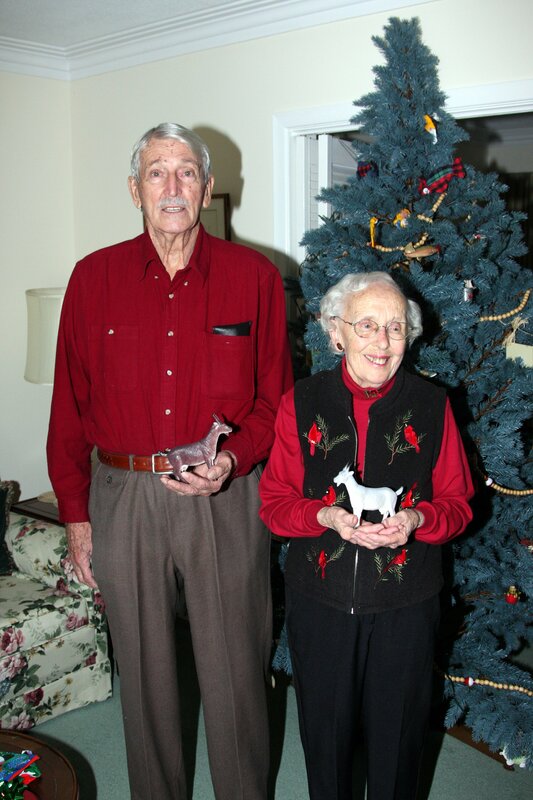 Laurette and Murray – the parents of our daughter Christina’s fiancé Marc – provided money for a goat. Guida Da Silva and Frederico Deira made a generous donation to the program. 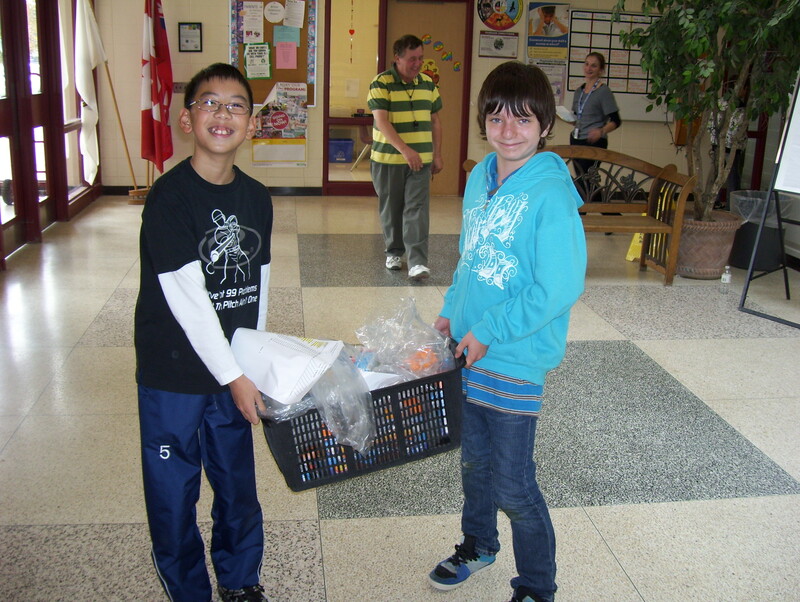 Lisgar School in Mississauga has been actively working on global issues. 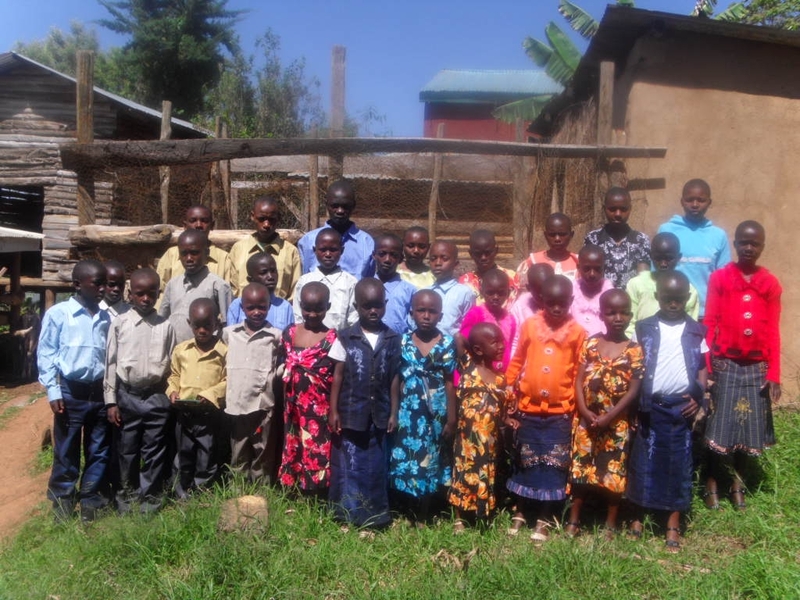 In December my wife Anita went and spoke to specific classes as part of the process that will lead to a Skype session in January between the students of Lisgar and the children of Rolling Hills Residence in Kikima. Lisgar provided a cheque for $250.00 for the program and a commitment to further fundraising in 2011. In addition they gave two books which will be brought over to Kenya when we have travelers. Woodlands Secondary School in Nanaimo B.C. made a donation of $100.00. Thank you Laurie Shaw for your leadership! Alexander Graham Bell, under the leadership of Barb Kettle has continued to be one of our strongest and most faithful supporters. They have raised an additional $979.00 in the following ways; Ice Cream Sandwich Day (thanks to Chapman’s for their help!) snack bars at two seasonal concerts and one Intermediate Dance. They wish to use this money for the Christena Gay Library – books and ongoing costs. In addition Barb’s parents, Doug and Beth Kettle, have donated $80.00 so that two goats can be purchased in each other’s names. A basket full of ice cream! 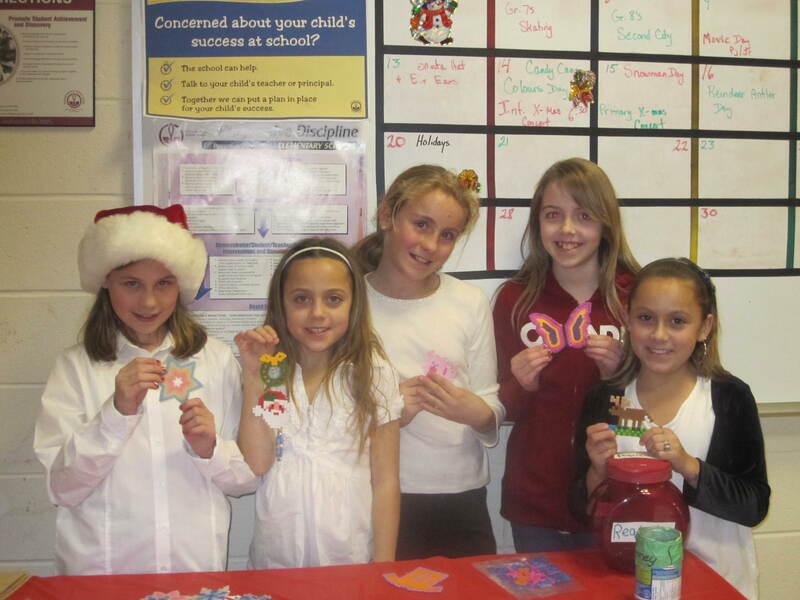 Five young ladies from Alexander Graham Bell – raising funds through their creativity! Hope the weather isn’t too bad, up your way. Things are good down here. I just wanted to give you an update on my class. We’ve had two bake sales this month and are planning on having two more in the new year. The first one raised just over $80, while the one yesterday raised an astounding $168! I couldn’t believe it. The class has been divided up into four groups and each group is completely in charge of EVERYTHING — announcements, advertising, bringing in the goods, and conducting the raffles. It’s quite fun to watch the friendly competition that is going on. 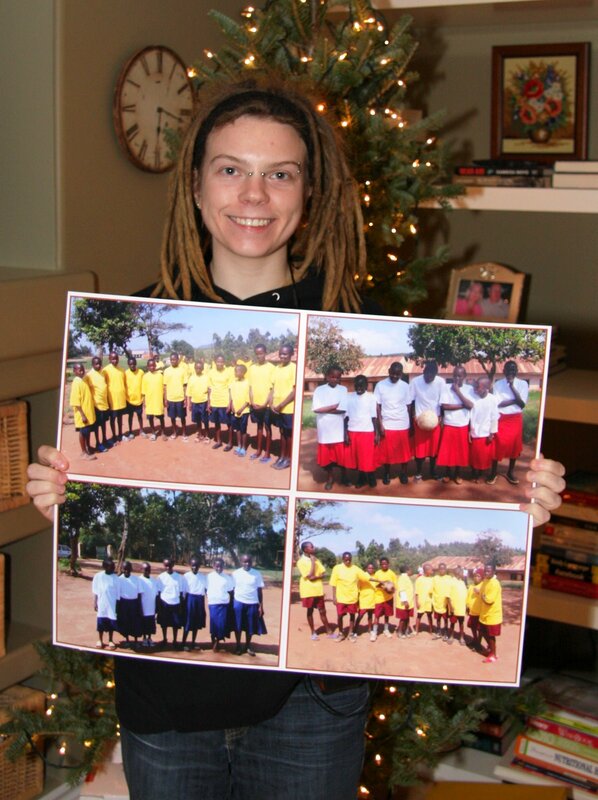 All told, including the monthly money for Naomi, the students have just gone over the $1000 mark for this year! We’re not even half way through the year. I told you, these kids are unbelievable. 🙂 In fact, I had one student bring in Naomi’s entire sponsorship for this month, anonymously. Eventually, with a little coaxing from a friend, the student finally admitted to donating the money. This student doesn’t want any recognition because she feels that the point of it is more important that the recognition. I think that’s pretty phenomenal for an eleven year old! That’s pretty much it, on this end. Hope all is well with you, Anita and the kids. Construction continues on the new building. Below are the most up to date pictures. 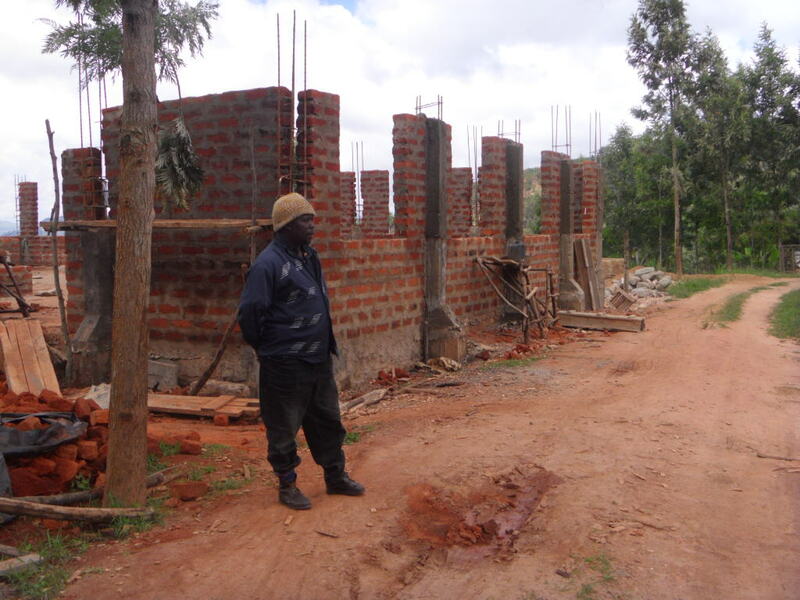 We hope to start using the lower level as a boys’ residence while we continue to build the top two levels (girls’ residence and kitchen/dining hall/study area/offices). Right now we are a few months and a few thousand dollars short of what we need to finish it off. 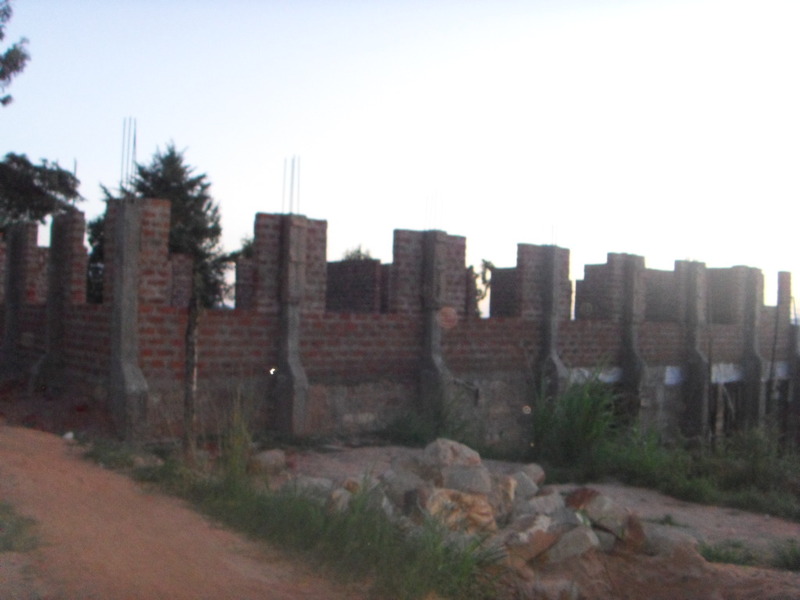 Generous donations from schools continue to be used to complete the new residence which will not just be an expanded home to our orphans but will also act as the central facility to serve the needs of all orphans throughout the entire region. It is difficult for the pictures to capture the entire project because it is built down the side of the mountain. 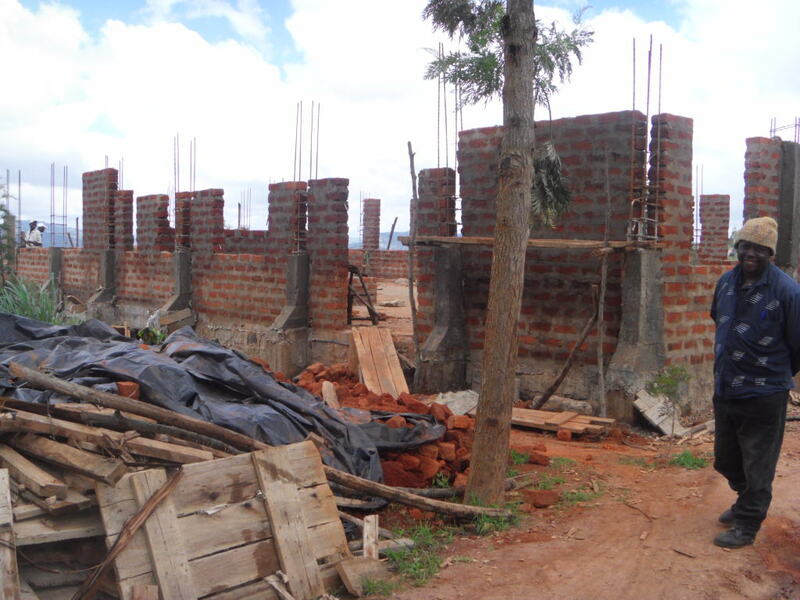 Pictured are the top floor – the top of the mountain construction – that will ultimately hold the kitchen, dining hall, storage areas, study area and the offices of the entire Creation of Hope project. 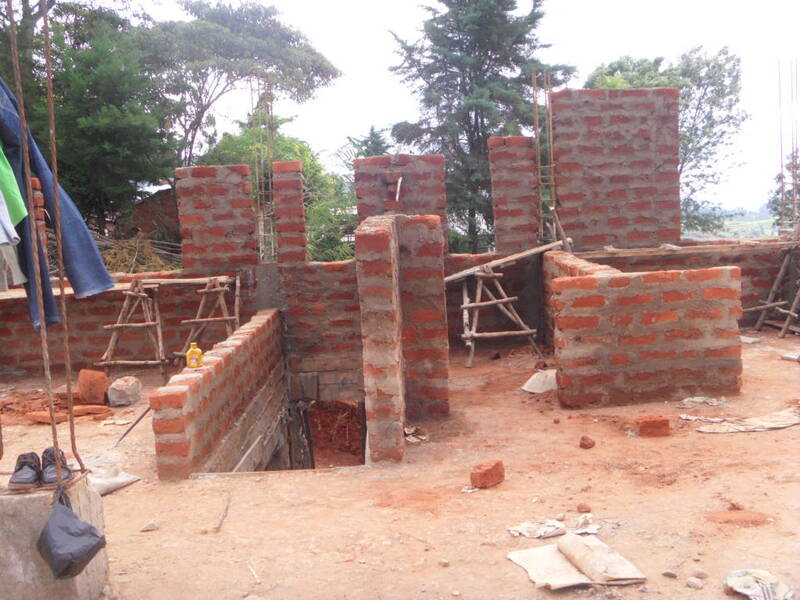 Side view showing the top floor, and to the far right, the middle floor ‘peeking’ out.